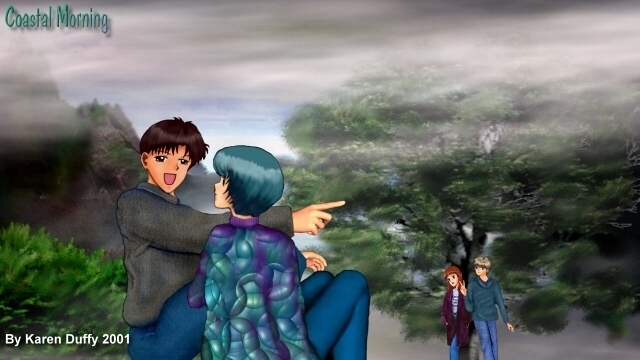 "When I look at this image, I get the feeling of Miki and Yuu, and Arimi and Ginta are on an early morning date together as a group. What fun, they're got the whole day ahead of them and they're all feeling very close and very happy to be together." 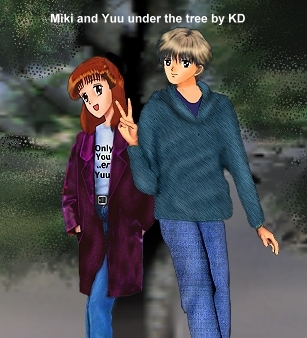 And I can't resist including this close-up of Miki and Yuu which was cut out from a larger image of this art. Her shirt is too kuwaii!